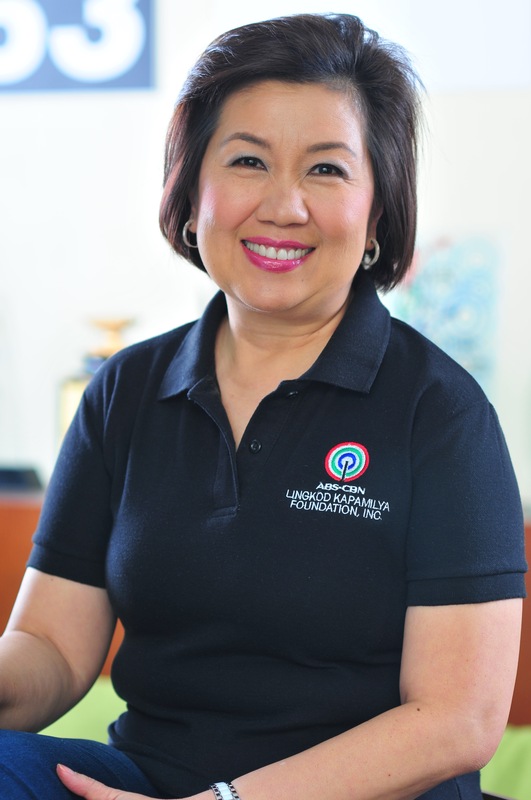 For the past three years, Libas National High School in Merida, Leyte has been the second home of Lilian Pugoy. Studying in Libas National High School is not really an easy feat. Students need to use the stairs everyday just to reach their classrooms as their school buildings are located on a hill. Lilian is a 28-year old high school Mathematics teacher. 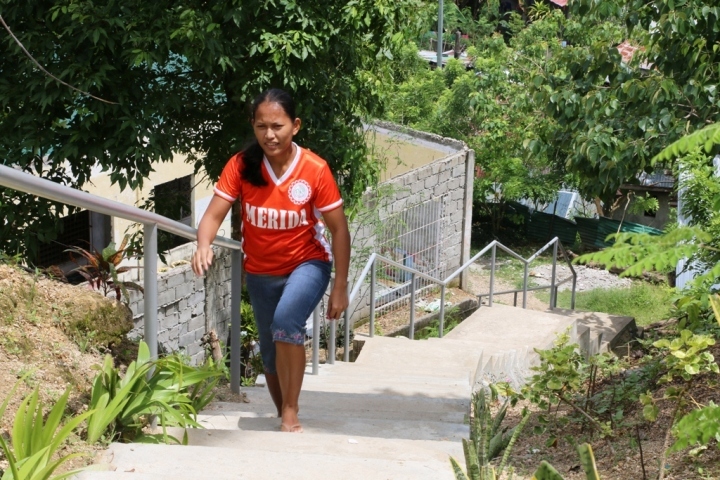 After typhoon Yolanda, Teacher Lilian started taking more than 95 steps everyday to teach her students. Teacher Lilian never imagined she will be a teacher, same as she never thought Yolanda will happen. During the typhoon, she was one of those who used their school as an evacuation area. As a teacher, she witnessed how traumatic it was for the students who lost their homes. “Dalawang araw pagkatapos ng typhoon Yolanda, lahat ng mga kwentuhan, halos mga iyakan. Ang mga bata sinasabi na ‘Wala na kaming bahay.’” Just like her students, she also lost her house. “Lahat dito ng mga bahay, nasira. Actually ako, nagre-rent lang ng bahay tapos yung bubong namin wala na...” she says as she tries to hide the tears by laughing between her sentences, but her voice cracks. “Tapos doon lang kami sa ground floor. Two-storey kasi yung apartment namin. Sa ground floor, higaan lang (yung meron kami), hinihigaan namin,” she adds. It was January when the owner of the apartment started to reconstruct the place. Days after Yolanda, there was a low number of students who were attending the classes. Some of them were still trying to repair their own homes. Aside from that, their school was a total mess, too. The trees around the school were uprooted. With three classroom buildings, only two classrooms remained functional after they typhoon. The other rooms, roofs were also taken by the wind. With that, two sections were combined in one classroom just to accommodate the students. Even their textbooks were not spared. From 23 books, Teacher Lilian was left with 10. Students came to class with damaged notebooks and books, while some do not have at all. “Akala ko yun na yung classroom ko hanggang mag retire,” Teacher Lilian says while laughing. This photo was taken when Teacher Lilian was about to meet with ABS-CBN’s RNG Tacloban in her classrooms. This is the reason why she started to take more than 95 steps everyday just to be with her students. Part of the rehabilitation efforts for Yolanda-hit areas is to build better school buildings. Sagip Kapamilya, ABS-CBN Lingkod Kapamilya Foundation’s emergency and humanitarian assistance arm immediately responded with relief operations to the victims of the super typhoon. Aside from that, from more than one billion worth of donation given by the public, Sagip allotted 187 million for its education projects, which includes building better and sturdier classrooms. New classrooms of Libas National High School on top of the hill with Teacher Lilian going down. Libas National High School is one of the schools where Sagip Kapamilya built classrooms that can withstand 250 kph wind velocity. Its design was done by the Energy Development Corporation – with high ceilings and curved blackboards. The boards are curved so the students would not have a hard time to see what is written on the board wherever they are seated if the sun shines on it. Two classrooms were built on top of the hill where the school is located. It was harder back then. There was no staircase yet so during the time of construction, everyone climbed the hill, landing their feet on the soil. A backhoe was drove up the hill just to plain the land where the rooms will be built. After they were built, that was the only time they started to create the staircase. It wasn’t only Teacher Lilian who was able to rebuild her life from the tragedy. The students of Libas National High School, too, with her help and the other teachers. In each step of Teacher Lilian, she makes a difference on the lives of every student she is interacting with every school day. Maybe it is a tough thing to do. To take 95 steps going up, and 95 steps going down, four times a day. But for Teacher Lilian, there is no more “tough job”. Nothing is hard. It is all for the students who need her so they can rebuild their dreams and achieve their ambitions, one step at a time.